With identical rig and hull shape to “Chantilly of Oban” this yacht is equal in performance under sail to her sister ship. A blend of performance and a spectacular layout below make this arguably the ultimate yacht for cruising Scottish waters. 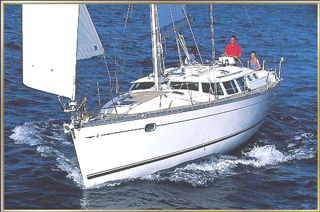 On deck she has a combination of roller furling genoa and single line mainsail reefing with lazy jacks ensuring efficient and easy sail handling. 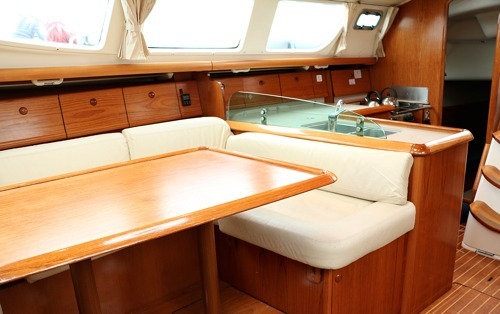 As well as a large, comfortable and practical cockpit she has an uncluttered layout with high quality teak decks. As soon as you step below you cannot fail to be impressed by the light airy atmosphere and panoramic views from the saloon. 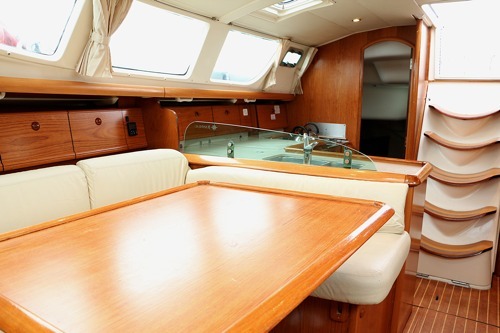 The accommodation provides berths for 8 people without using the saloon space. 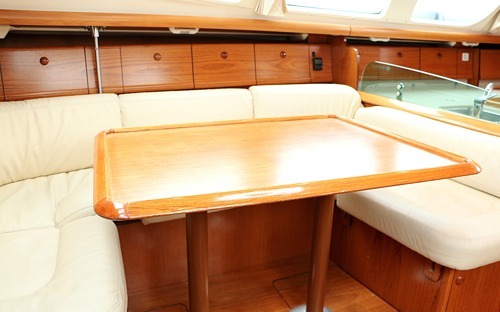 The saloon seating converts to create a comfortable extra double berth. 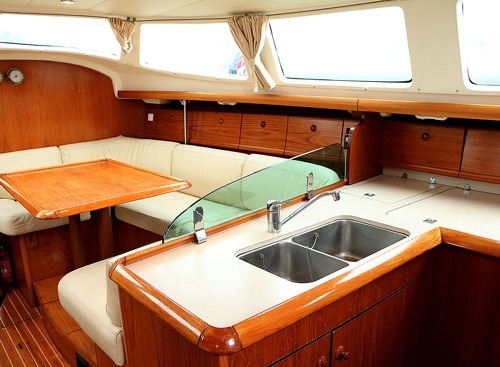 Other features are a well laid out and very practical galley, 2 heads both with full size showers. The shower is fitted with warm air heating which creates a perfect drying space and wet locker when not in use as a shower. 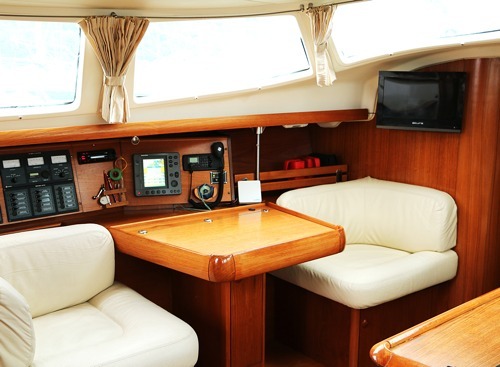 Equipment includes 3/4 battened mainsail with lazy jacks, single line reefing, electric windlass, autopilot, GPS plotter, wind/speed/depth instruments, large 200 litre fridge, powerful Eberspacher heating deluxe and cooker with 2 burners, grill and oven. Eloise is rightfully the pride of our fleet – a truly stunning yacht.